Marianne Kavanagh is an author and journalist. She has worked for Woman, the Tatler, the Sunday Telegraph magazine and British Marie Claire, and has contributed features to a wide variety of national newspapers, magazines and websites. She has three grown-up children in their twenties – a journalist, a stand-up comic and a textiles designer. She lives in south-east London with her husband Matt and two extraordinarily annoying cats. 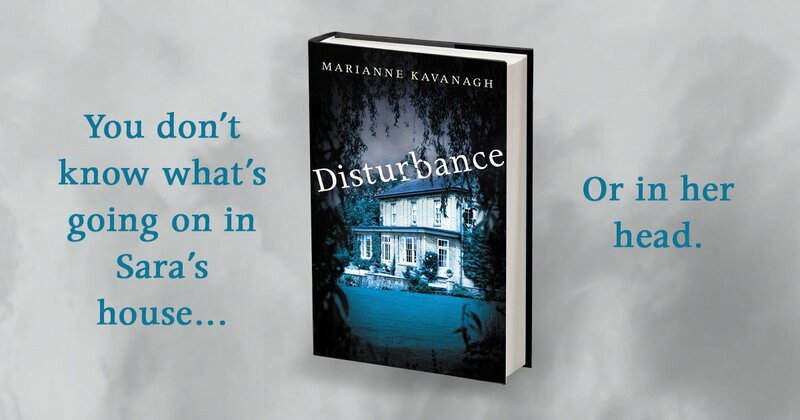 Her fourth novel DISTURBANCE is published in March 2019. You don’t know what’s going on in Sara’s house…Or in her head. Sara is lonely. No one talks to her – not even her bad-tempered workaholic husband or her two beloved sons. Her solace is her house, the biggest in the village, hidden away behind high hedges. Then she strikes up a friendship with Katie, a college student living nearby, and a new world opens up. Her neighbours have been dying to get to know her, and they rush to help when Sara is devastated by a terrible accident. But nothing is quite what it seems. And when new betrayals and shocking revelations disturb her peace, Sara realises she has no choice: she must act to protect the safety of those she loves. “Scarily plausible.” L. V. Hay “The tension doesn’t let up – taut all the way through with a creeping sense of horror as it unfolds, and the end is positively chilling.